"Rise and shine" isn't just something you should say in the morning to drag yourself out of bed. According to a new study from Northwestern University Feinberg School of Medicine, published in the journal PLOS ONE, actually doing it—i.e., getting up and catching a couple quick rays—may help you lose weight. Researchers asked 54 participants, average age 30, to wear a wrist monitor that tracked their exposure to morning light for seven days straight. They also had them keep food diaries to record their caloric intake. As it turns out, the people who got more morning light had lower BMIs than those who got less—and that was regardless of their age, how active they were, and what they ate. So, why exactly do people who soak in more morning rays weigh less? There are two possible reasons: First, exposing yourself to light early in the morning as opposed to later in the day synchronizes your internal body clock, which means that you're more likely to have a natural and steady sleep schedule. In turn, that steady sleep schedule helps your metabolism run more efficiently, which, as you know, can lead to weight loss. The second reason that morning light may help you slim down plays off of the first. By nature, morning light is much stronger than afternoon or evening light. That's because there's a higher amount of blue light in the morning—and blue light is the kind that has the strongest effect on your circadian rhythm, say researchers. You only need to get as little as 20-30 minutes of morning sunlight between 8 a.m. and noon for the sun to work its magic. Check out these tips on how to become a morning workout person to be sure you get the light your body needs. 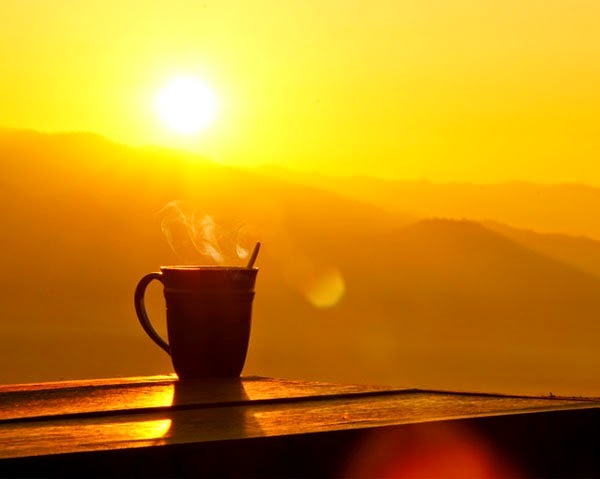 Or, if you're not a morning worker outer, try simply waking up a little earlier and enjoying your coffee outside with the sun shining down on your face. Not exactly hard advice to follow!